The package also contains a nerfed parameters.txt adapted for the professional class (still op as cars like prototype FX-77 and Tesseract). - This is the car i used for the All's Fair V event, i did 2nd place with this. 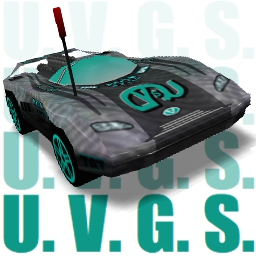 - This car's name stands for: Ultimate Victory Gainer System. UPDATED: fixed the rocket bug, and nerfed stats (only on parameters-pro).